Whether the weather has been called 'The Beast from the East' or 'Snowmaggedon', the reality is that Britain's drivers rarely have to deal with snow for very long. Met office figures show that the UK gets 23.7 days of snow per year on average - less than a month, spread out between November and April. When it does snow though, Britain's lack of preparation can make getting to school, work or shops particularly stressful, the advice given is often not to drive at all in these conditions, but if you drive for necessity rather than pleasure, chances are you will still need to get about. You don't need some agricultural 4x4 like a Land Rover Defender, or an upmarket SUV like an Audi Q7 though - there are plenty of small, affordable all-wheel drive options. Although these cars offer additional traction and secure handling over their two-wheel drive equivalents, the proper choice of tyre will allow all those advantages to work fully; even large rear-wheel drive saloons and sporty hatchbacks benefit from winter tyres to the extent that only the worst conditions will cause problems. Winter tyres also offer advantages when temperatures are below seven degrees celsius and in rain, where the UK spends a much longer amount of time. Browse the selection of 4x4s for sale on Parkers, or read on for five affordable small SUVs you can buy for less than £5,000. Most modern all-wheel drive systems will detect slip through their centre differentials - the system that allows front and rear axles to be driven at different speeds - and lock up electronically. When looking at a used car with four-wheel drive, particularly vehicles with a viscous centre coupling such as the Land Rover Freelander, some models of Jeep Cherokee and some Volvo models, be sure to check the service history for tyre changes in complete sets. Mismatched tyres can cause excessive wear and failure of this type of differential. Before buying a used car, get a Parkers valuation and history check, and it's worth using the online MoT history tool before travelling to view a car; this will reveal areas that have needed attention in the past, and give an indication of mileage covered per year. 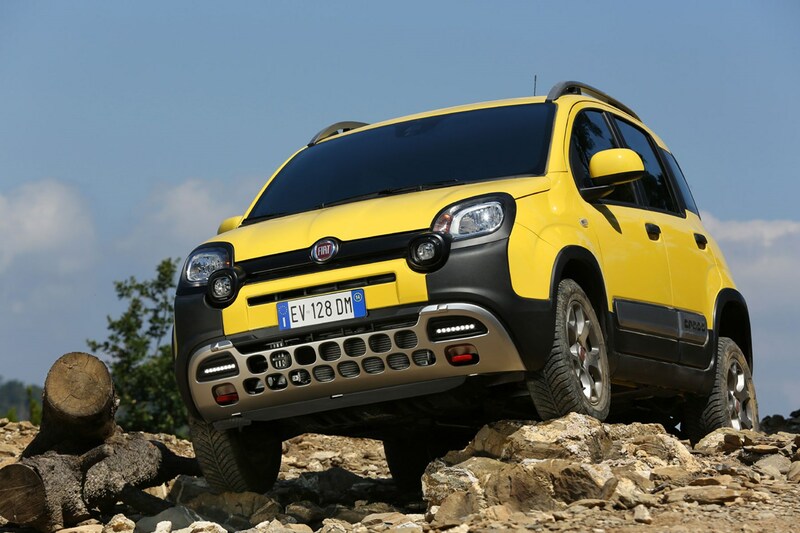 First and foremost, the Fiat Panda Cross has an intelligent all-wheel drive system that includes three driving modes for different terrain and electronic torque distribution. Working alongside the six-speed gearbox's low first gear, this ensures the small Fiat is able to get torque to the wheels with grip, and then turn them slowly enough to not break traction and slide. The Cross also has underbody protection, minimising the repair costs if you do slide off road. Very few - the Panda 4x4 is an important model for the Italian manufacturer, which has a strong market in the moutains of Northern Italy as well as the rest of Europe. Economy is slightly reduced, and handling less sporty due to the increased ride height. All models of Panda have fairly thick A-pillars, which reduces visibility out in cities, and performance is relatively leisurely. Given the most powerful model has just 84hp, that's understandable. 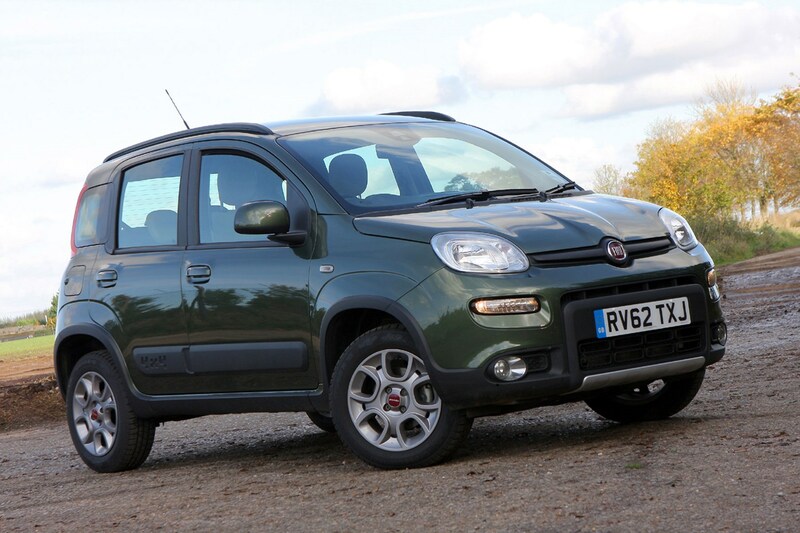 It's economical, compact and fun to drive, so the Fiat Panda 4x4 is a great car to use year-round. Clever all-wheel drive ensures economy isn't hit too hard, either, and additional grip benefits all road conditions including leaves and rain. Finally, if you enjoy driving for pleasure, the Panda Cross has an enviable reputation as an off-road vehicle, opening up green laning and other adventure possibilities. It may be a MINI, but it's not that small - the four-door, four-wheel drive ALL4 has space for your family without being too big for city driving or urban car parks. Wide doors and well designed rear seats give easy space for three, and funky styling has a lot of appeal for the fashion conscious. The four-wheel drive system is not the most versatile if you like to take control of how the car behaves, but it is sophisticated enough to work in most slippery conditions without the need to select modes. 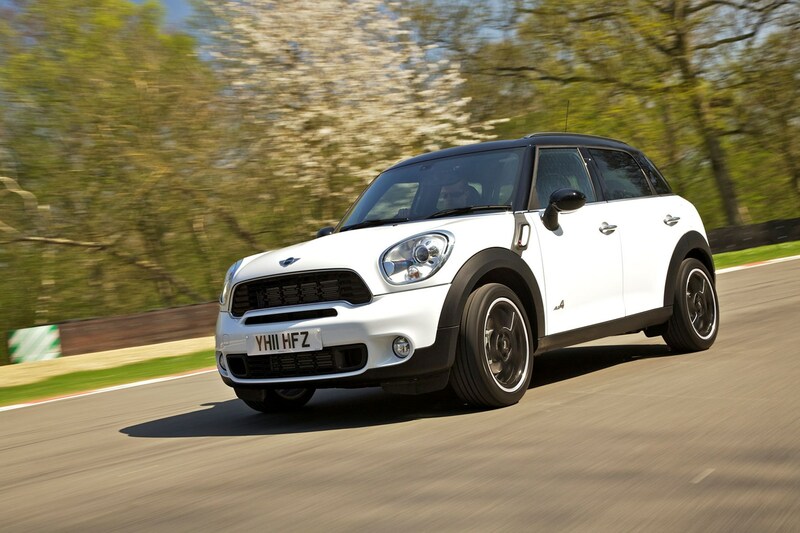 Low emissions with decent economy, strong residual values and a good dealer network ensure the MINI is a good choice for the long-term, too. Luggage space is a little cramped for the size of car, and some interior details place form over function. Dealer servicing can be expensive, too, though as a popular car it will not be difficult to maintain. It's also fairly expensive for the size and age of vehicles you're getting; if the styling isn't to your taste, there are better value cars. Brilliant - there's little penalty at the pumps for specifying the ALL4 model, and handling and sense of fun is carried through all MINI models effectively. If you want a practical, small and stylish car to use all year with the security of 4x4 when needed, this is one of the best. 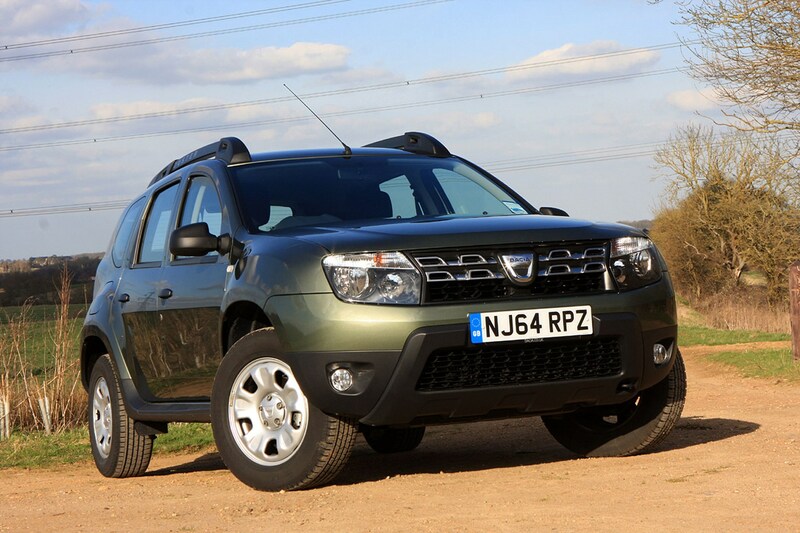 Following on from a highly capable 4x4 in their home market, the Dacia Duster could not cut corners when offered as an all-wheel drive version. It's square set, easy to see and judge the extremities on, and very spacious. A new model launched in 2018 means this version will begin to fall in price a little faster, too - and the legacy of the Duster's ability remains intact; winner of the Best Off-Roader Award for 2019 in the Parkers Awards. The transmission is basic, and can be left in front-wheel drive mode only if required. Auto mode switches all-wheel drive in when slip is detected, and there is a differential lock to split torque equally front and rear. Electronic systems provide additional stability by simulating a rear limited-slip differential. It's a good loooking car, too - rugged, without going over the top, there are elements of classically functional 4x4s in the design. Petrol models are relatively thirsty and have poor emissions - your best option is the 1.5 DCI from 2014 onwards, which offers 60mpg and 123g/km potential in 4x4 form. Access specification is very basic, with some crude interior trim, and if safety is a concern for you, the Dacia scores relatively low in Euro NCAP - though primarily for a lack of driver-assistance fitted as standard. Because the four-wheel drive system can be switched to front-wheel drive only, the Duster is light and relatively economical for the size of car. If you need a small estate car, then this is an ideal choice to cover occasional off-road and snow use as well. Suzuki is a pioneer of small four-wheel drive cars, such as the Swift (also sold as the Subaru Justy), Ignis 4Grip and of course, Vitara and Jimny. Tough, reliable and capable, they're one of the easiest routes into a 4x4 for daily use. The SX4 S-Cross fits between the firm's compact cars and the small Vitara SUV, and is a lightweight, fun car with reasonable ground clearance that retains a sportier feel. Practicality is good too, with a decent size of boot and passenger space. Higher-specification models are worth seeking out for features like the double panoramic glass sunroof. Finding one that an owner is willing to sell may be the trickiest part - buyers of Suzuki 4x4s have traditionally held onto them, satisfied with the grip and low running costs. Interior trim has a few low-cost components, and it's not likely to impress the neighbours; frankly, nothing to worry about when your main concern is driving safely in poor weather. 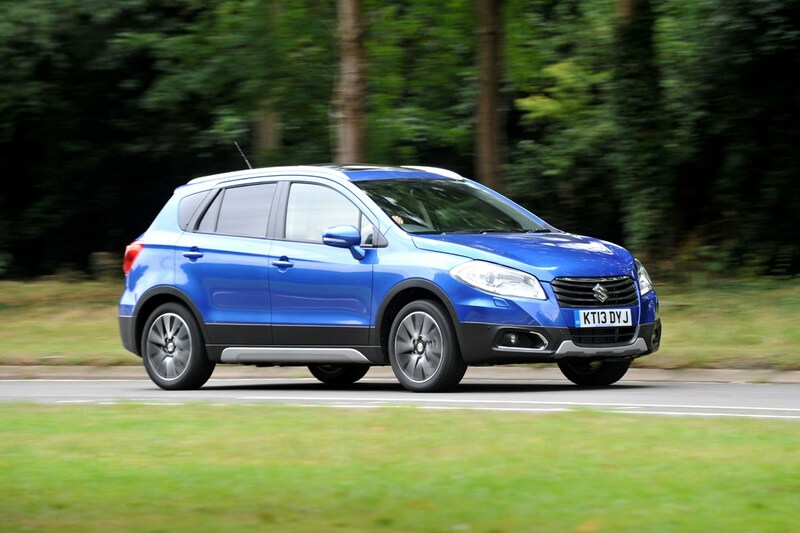 Impressive fuel economy - particularly if you go for more recent facelift models from 2016 onwards - and an engaging chassis backed up by all-wheel drive grip, the SX4 S-Cross should be a common sight on the roads based on merit alone. Better yet, high-specification models have features like adaptive cruise control, making them highly versatile for the cost. 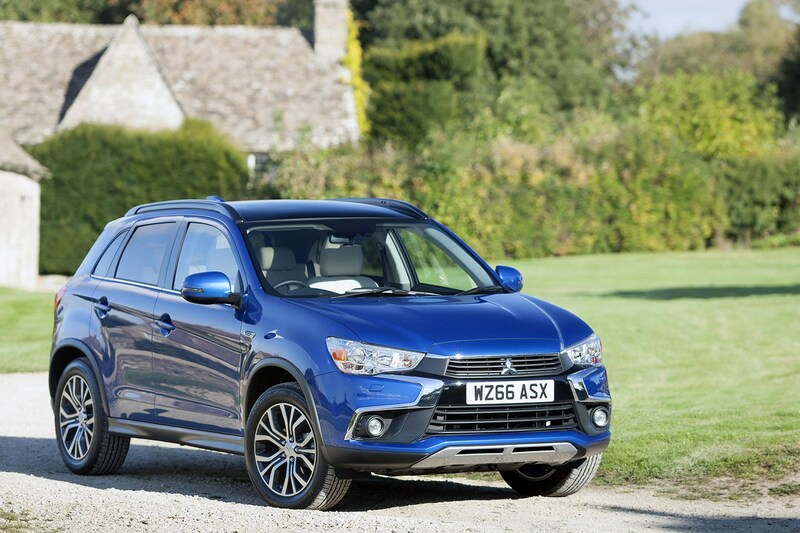 Competition for a used Mitsubishi ASX is fairly low, as the model is relatively unknown. The taller body makes for a very spacious family car with a small footprint, and modern underpinnings deliver an economical, clean car. The all-wheel drive model is only available with the diesel engine option, however. Eco, 4WD and Lock modes are offered, allowing the driver to lock the centre differential when traction is lost. In normal driving the ASX is front wheel drive unless slip is detected. Economy of the diesel models is fair, but where the ASX pulls ahead is in torque and refinement on the 2.2-litre - one of the larger engines in this sector - and robust interior fittings well suited to a harsh winter. Early models are fairly dull inside, and you are limited to 1.6 or 2.2 diesel models if you want four-wheel drive; the petrol is a little underpowered anyway. It's a larger car externally than most of the options presented here, so if you wanted something compact and city friendly you may want to look back up the page. However, that size is not wasted - interior capacity is well suited to a growing family.